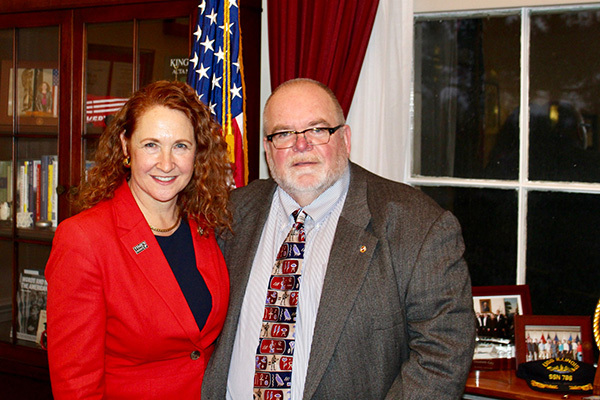 Longtime IAM member and activist John Harrity attended the State of the Union Address last week as a guest of U.S. Rep. Elizabeth Esty (D-CT). The retired Harrity spent 32 years as a member of Local 1746, and had been President of the Connecticut State Council of Machinists since 2012, representing 10,000 active and retired IAM members on legislative and political issues. The Congresswoman first met Harrity when jet engine manufacturer Pratt & Whitney closed its plant in her hometown of Cheshire, laying off 1,000 employees. Esty said her choice of guest highlights the need for job creation and infrastructure investment, which she said are priorities for her constituents.